This fabric is designed by Africa Smiles and is exclusive to our ranges. 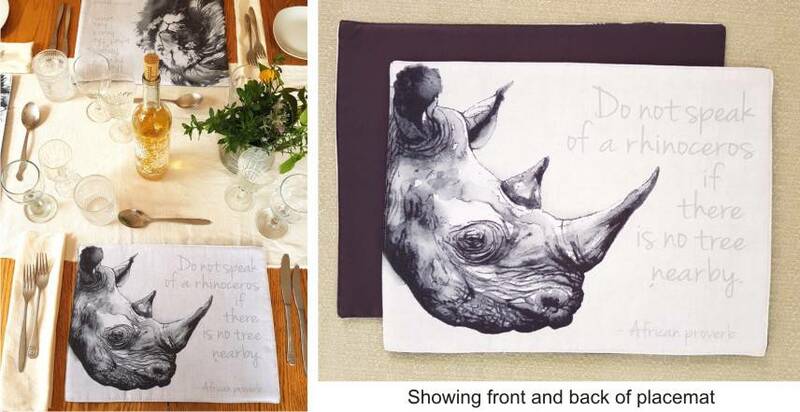 Each Placemat is printed from an original painting onto a softly textured polycotton cloth and each placemat includes batting for padding.The image is on the front only, with a plain colour on the back. Placemats are machine washable.